Chili lime rubbed tofu (Appetite For Reduction), black beans in a simple sauce (2 cans of rinsed & drained black beans, a dash of Mexican spice blend and a couple of shakes of hot sauce), red rice with lemon and salsa on the beans! Tasty, spicy but not crazy so and comforting! 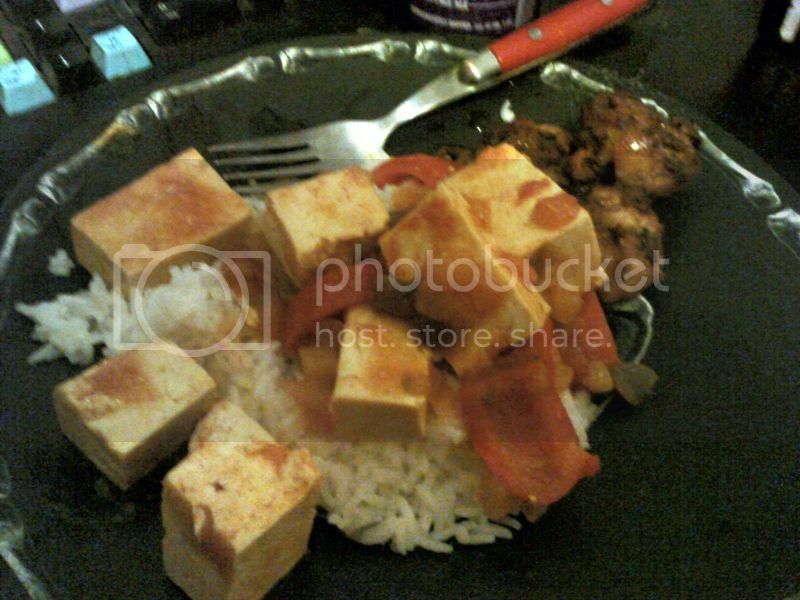 Smoky peach tofu (from Cooking With Trader Joe's Vegetarian - I love this book! ), coconut water lime basmati rice (cook white basmati, replacing 1/2 of the cooking water with coconut water, juice of a lime and slices of lime floating on top (pick 'em out after cooking). I served pakoras from Trader Joe's on the side baked in the oven and toped with the sauce. Sweet and savory, comforting and tropical! 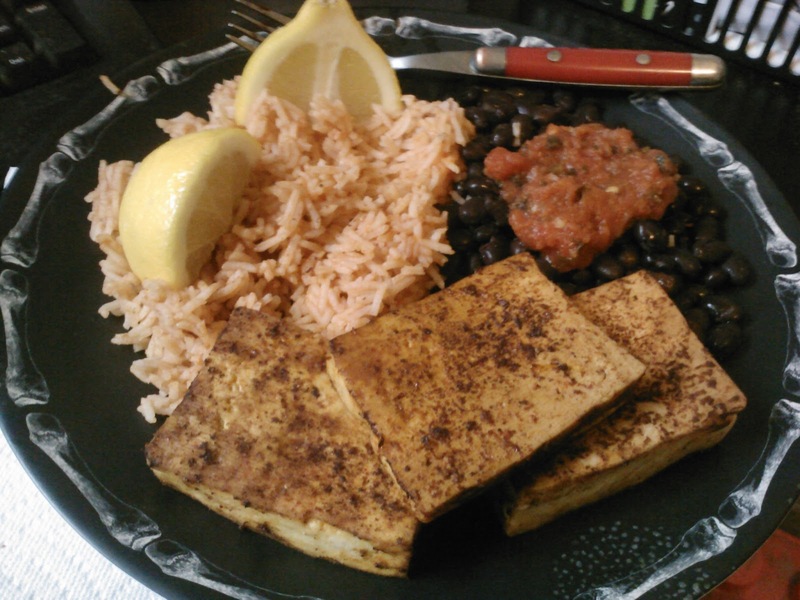 I love tofu, it is comforting and pretty cheap. I go for the super firm pressed stuff. That way no roll of paper towels goes down the drain and no extra prep. You can just use one paper towel to dry it off and cut and get busy with your dish. Rice is another cheap staple. I go for basmati, it has a texture and nuttiness that I enjoy. I buy my rice from Trader Joe's or go for something in the natural foods section. I check over my rice carefully because pantry moths are known to go for it in stores, especially in the bulk area. Icky right? Oooh peach tofu and lime rice sounds like a winning combo.